PL-7 is a stand-alone or surface mounted LCD panel, which enables remote display of status information and text messages which can be stored in recallable memory settings. The PL-7 can be embedded with PL-3 or PL-4 wall plates, allowing programmable control from a single unit. It can also be used for remote alarm/supervisor display.7 is a stand-alone or surface mounted LCD panel, which enables remote display of status information and text messages which can be stored in recallable memory settings. 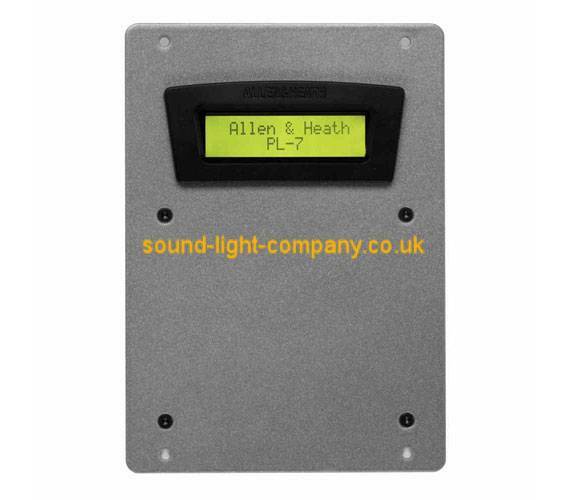 The PL-7 can be embedded with PL-3 or PL-4 wall plates, allowing programmable control from a single unit. It can also be used for remote alarm/supervisor display.